Entrepreneur. Food, Fitness, Faith and Fashion Blogger. Published Author. 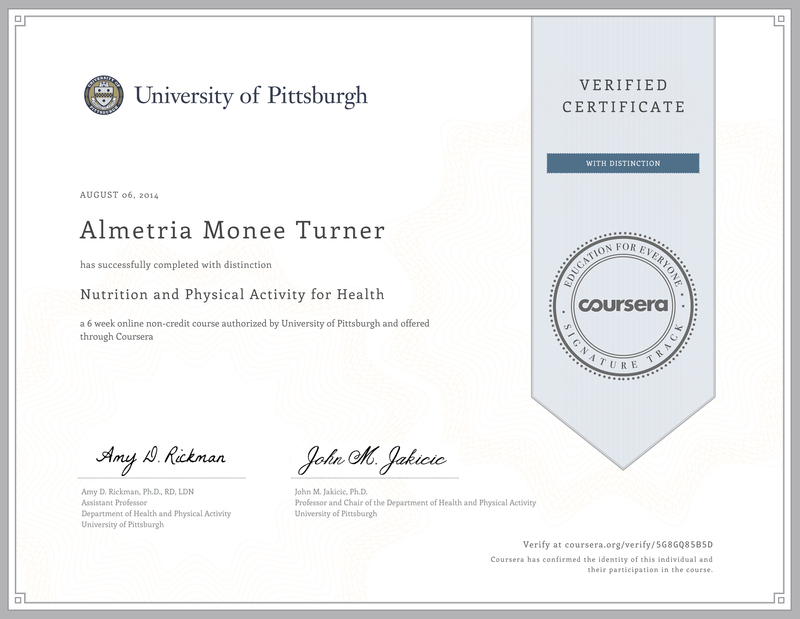 RRCA Certified Running Coach. Motivational Speaker. Lifestyle and Wellness Coach. Healthy Foodie. Marathoner. When one discovers their passion in life, a sense of purpose manifests and doors begin to open. My blog was birthed out of my need for personal accountability to myself to remain fit, maintain my weight loss, and to help others who are still in the fight. I struggled with weight my entire life and tried every diet known to man. The scales would go up and down, up and down until they finally kept going up. In 2009, I developed Type 2 Diabetes and I was diagnosed with hypertension years before. Self-hatred and depression constantly plagued me because I often wondered how I could do this to myself. I was my worse critic. It was at that moment in my life that I realized I was an emotional eater. Happy, sad, angry or indifferent– no matter how I felt, I turned to food as my comfort. In the summer of 2009, I had to see 3 different specialists-an endocrinologist, cardiologist, and a pulmonary specialist, along with my primary care physician. I was 36 years old and felt as if I was 80 having gone to so many doctors, yet according to my age I was still young. I was in denial for the longest about my chronic illnesses. Being overweight, diabetic, hypertensive and depressed was a dangerous game to play and I felt as if I was losing out on life. I started my weight loss and fitness journey in 2010 after being sick and tired of being sick and tired. I weighed 342lbs and wore a size 32. That was the heaviest I had ever been. I wanted that to be the last time I’d ever see that number on the scale or tag in the back of my clothing. It was my goal to become healthy, fit, and medication-free by the time I turned forty in December 2013. “Fit by Forty!” #fitbyforty became my new mantra. I didn’t know how I was going to achieve my goal in losing weight, but I knew I had to start somewhere. At the time, I couldn’t afford a gym membership, nutritionist, weight-loss pills, supplements or a personal trainer. Gastric bypass and Lap Band surgery weren’t options for me (even if I could afford them), because I knew with sheer will and determination I could do this on my own without any extra means. I didn’t have any help gaining the weight, so I felt like I didn’t need surgery or other supplements to help me lose it either. I don’t criticize others for having surgery, I just knew that it wasn’t for me. This had to be a lifestyle change because temporary diets had failed me one too many times. So I decided to do research on my own on how to eat and live a healthier life. I also used free outdoor resources such as walking through neighborhoods and the park. I looked up exercise videos on you tube and used my body as resistance for strength training. I had no more excuses. I couldn’t let work, life, lack of time, money, willingness, or emotional roller coasters deter me from reaching my goal in achieving good health. This weight loss journey was one of the loneliest periods in my life. I cried often and couldn’t find any accountability partners to take this walk with me. I was in it to win it alone with the grace of God. I remembered listening to Bishop Walker of Mt. Zion out of Nashville on many of my daily walks. His sermons really helped get me through most days when I felt like giving up. It wasn’t until later in my journey that I realized this was how it was meant to be; for it was unto Him that I would give honor and glory for my health, wellness and healing…not man. I did a 180 turnaround in terms of how I ate and exercised. I would eat 3 meals and 2 snacks a day, breakfast every morning, I read every label and went by serving sizes. I learned how to balance my meals and portion control. I meal prepped and planned. My palate had changed where I was eating things I never said I would and now I enjoy preparing new dishes and creating my own recipes. I switched out all of my white foods such as sugar, flour, pasta, rice and bread for whole wheat options. I learned about high and low glycemic foods, starchy vs non starchy veggies, good and bad fats, limiting processed foods, how to grocery shop and a lot of other things about eating healthy. Walking 2 to 3 miles daily turned into going to zumba, ab labs, boot camps and eventually running. I figured out what my trigger points were when I wanted to emotionally eat and used exercise and other positive activities instead to fill the void or combat the emotion. I surrounded myself with positive affirmations because everyday wasn’t going to be a good day, but each day was another opportunity to get it right. I began to become more sociable and learned how to handle stress better. I finally was getting my life back and I was going full force with it. There was no turning back. As of today, I accomplished my goal of being healthy and free by my 40th birthday! I have lost 177 lbs, have been medication-free for over 5 years, reversed my diabetes, no longer have hypertension, and I went from a size 32 to a size 6-8. Best of all, I am mentally, spiritually, emotionally and physically free and well on my road to self discovery. I have also become an avid runner and have completed several 5K’s and my first half marathon in 2 hours and 44 minutes. Not too bad for my first half. My goal is to complete 50 half marathons in 50 states by the time I turn 50.‪ #‎50by50 I have completed numerous 5ks, 10ks, 15ks, 1 navy nautical 10 miler, half marathons, 2 Ragnar Relays and 2 marathons. I’m 9 states in towards my 50 goal. In March of 2018, my running journey came full circle as I became a RRCA Certified Running Coach. My weight loss story has been featured in numerous media outlets and publications such as the Huffington Post, Redbook Magazine, joybauer.com, Women’s Running Magazine, Runhaven, Memphis Health and Fitness Magazine, Good Health magazine, The Yolanda Adams Morning Show, The Rickey Smiley Morning Show blackdoctor.org and Yahoo Health just to name a few. In 2015, I appeared on NBC’s Today Show as a part of their Joy Fit Club segment where I shared my weight loss secrets and healthy recipes. Also, I’m a wellness contractor and social media influencer with the Kroger company grocery chain. 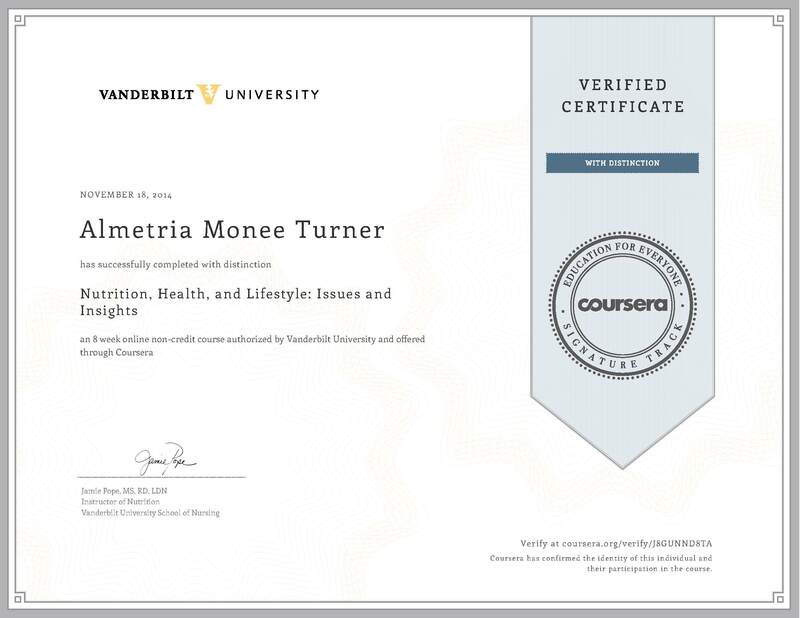 In my quest to become more knowledgeable in helping individuals and families understand and lead a better and healthier lifestyle, I’ve completed online continuing educational classes from the University of Pittsburgh, Stanford University School of Medicine, Vanderbilt University and the International Olympic Committee, in Nutrition and Physical Activity for Health, Child Nutrition and Cooking, Issues and Insights in Nutrition, Health and Lifestyles and Smarter Eating for Better Performance. I’m also a Certified Congregational Health Promoter and a Mental Health First Aid Responder. ●The joy of trying new foods and cooking their favorite dishes with a healthier twist. ●Running classes and clinics to help people become active or achieve their dreams of running a race. I pray my blog will prove as a source of encouragement and empowerment for you in your personal journey. If you desire one-on-one coaching or our other services, feel free to set your appointment today. Contact us by phone at 901-340-2866 or via email at fitandfinallyfree@gmail.com. Awesome, awesome, awesome! So inspirational!!! Just wanted to let you know how inspiring your story is. I just didn’t know I had a real goddess in my midst! You remind me that we can do absolutely anything we want to do. May The Creator continue to bless you my sister. Thanks for sharing your story!! Inspirational! And thanks for sharing your blog! Such an inspiration!! I am so excited to have connected with you through Wendy. God is awesome! Wow! What an inspirational story! Congrats! Your story is awesome! You are an inspiration to me! Thanks for sharing!! Thank you Kimberly. We all are an inspiration in our own right. Keep shining! You story has truly inspired me. We are the same age so your story has given me the boost I needed in my own weight loss journey. On the road to losing 50 pounds!!! Thanks so much!!! What a wonderful inspirational story. I am my way to losing 60lbs and look forward to reading your blog and using some of your tips. Thanks for reaching out me Linda and for your kind words. I wish you much success in you accomplishing your goal of losing 60 pounds. I know you can do it. I look forward in you sharing your progress with me. Live and Be Well! I just read your article in good health and will be checking out your blog. Thanks Chris! I’m looking forward in connecting with you. I enjoyed meeting you and hearing your story at the Diabetes Awareness Day on Nov. 5. You are an inspiration!